The Lockie Leonard Scumbuster play is a book mainly based concerning the environment. It tells the readers that we should do something about the world we live in today. Personally, I find the book boring at times, but with a little dry humor in it. I’ll recommend this book to people who like a little dry humor, and the actions to do whatever it takes to raise awareness about the environment. Lockie and Egg have recently discovered about the polluted harbour and the terrible smell that it gives off. It’s caused by litter being dumped into that harbour such as plastic bags, cans, oil tins, and a whole lot of other things. 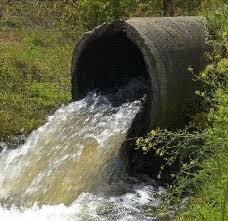 This pollutes the water, and gives no oxygen to the marine life there, causing all of them to die. They did a protest about the factories polluting the waters, saying that they should stop dumping their junk into the water and help clean up. We also should raise awareness about this and start cleaning the oceans. There are pros and cons to this as well. The pros, are that endangered marine species can live and breed more if we clean up. Fewer animals will die from eating the wrong things, such as turtles, dolphins, and whales digesting plastic bags, mistaking and confusing them for jellyfish. Millions die every year, and if more help clean up, these figures will reduce a lot. The waters will become cleaner if factories stop dumping crap into our oceans. Also, if we shut down the factories making plastic bags, the toxic fumes won’t harm the atmosphere. They say Australia is a lucky country, but if we keep doing this, will it become one for animals? The cons, are that a lot of people will lose their jobs if we shut down their factories to reduce the pollution. Millions of people will become jobless, and other places will be overflowing with workers. Also, if we stop making plastic bags, we can’t put our trash into bags. After reading this book, this has a really strong message to start caring about the environment by to clean the earth up. I’ll recommend this book to people who care about the environment, and this book is mainly aimed at children 10-14 years old. Click here to go to the info I used. Thanks for a considered review. Your use of the pros and cons lists is original, and a clever integration of the content that you’ve learned in this unit, into your review. Remember in Australia we spell humour with a u, despite what the spell check says. I liked that you identified that the message of the play has had a personal impact on you. Well written, and thanks for the link to the extra information.